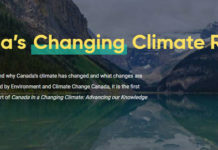 The 24 Reasons To Choose HOPE guide (from the Climate Reality Project) forms the backdrop for and is the primary resource for this article.The news about climate change is often quite grim but underneath this cloud of uncertainty and unease we have many reasons to choose climate hope. The following consists mostly of excerpts from the guide displayed under four main headings. If you need some climate hope and if you’re fighting for a sustainable future, then you owe it to yourself to take five minutes to read this piece. Change is happening. A better future is in our grasp. Help spread #ClimateHope. 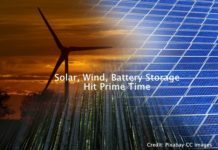 Due to declining costs and improvements in renewable technologies, solar and wind projects are being built in more places around the globe more cheaply than any time in history. Some studies estimate that 100 percent of the world’s energy needs could be met with renewable sources by mid-century, as long as the right supportive public policies are put in place to help implement them. Rooftop solar is becoming cost-competitive and poised to reach solar grid parity by 2020. 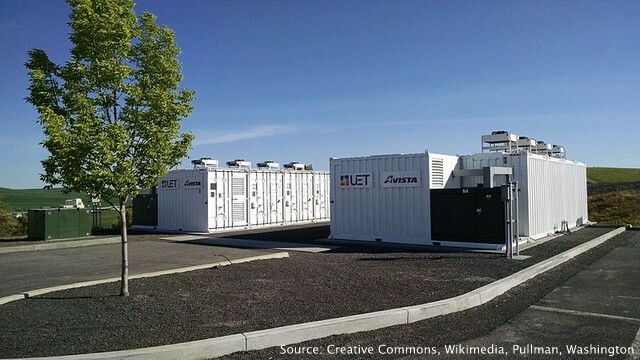 We’re seeing incredible progress in energy storage as batteries get better and demand keeps growing. Wind energy is now powering more and more of our energy needs. In the first six months of 2017, wind energy supplied 57 percent of Scotland’s total energy needs, and the nation opened the world’s first floating wind farm, expanding the possibility of installing turbines on stretches of ocean that were previously unavailable. 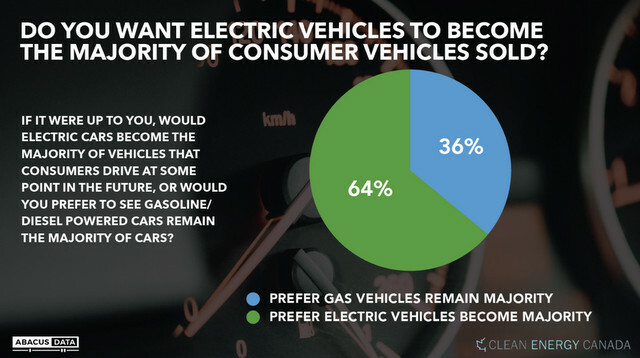 The electric vehicle (EV) market is booming. Global annual sales of EVs have grown tenfold in just five years. There are now more than 3 million EVs on the road today. Transportation is more efficient and public transit is growing. 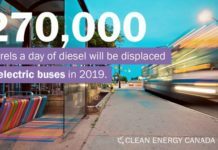 Technical improvements for new vehicles could avoid about 1.4 gigatons of CO2 annually by 2030, several countries are implementing eco-driving programs, and emissions mandates on cars in the US and EU are saving drivers at the pump in a big way. 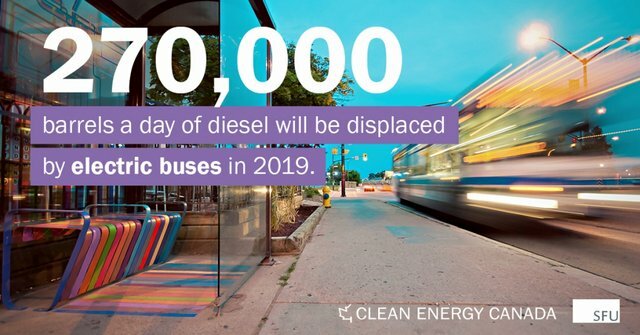 Meanwhile, huge investments in public transportation in countries like India and Colombia are helping contribute to energy conservation, land preservation, reduced air pollution, and so much more. 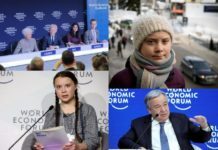 From major businesses and brands seeing the financial value of a clean energy economy to millions of people from all corners of the globe and all walks of life raising their voices in support of a sustainable future for the planet, there has never been more demand for action or more reasons to be hopeful. Financial institutions are pulling away from dirty energy seeing that investment in fossil fuels is risky business. As renewable energy becomes more affordable and pressure builds for the world to reduce carbon emissions, it’s starting to look like the finance industry is wising up. Large businesses and global brands are going green. 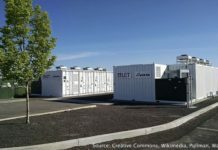 Tech giants Google and Apple both recently announced they reached 100 percent renewable energy for their global operations. Young people are getting involved and have become the most vocal group in the climate fight, perhaps because they have the most to lose. Student groups have led the charge for more solar-powered schools and divestment from fossil fuels. 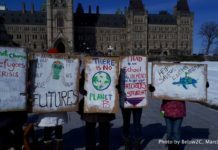 The drive we see from young people today to preserve our planet is reason enough to support leaders who can make a real change for their futures. Faith communities are embracing renewables. In 2015, Pope Francis called for urgent dialogue on global environmental issues, including climate change. 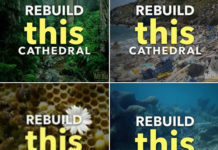 When it comes to action, religious groups are organizing people of faith by the thousands to support a sustainable future. The tide is turning on public opinion. A 2017 Pew Research survey showed that an overwhelming majority of people worldwide believe the climate crisis is a major threat – with respondents in 13 countries, mostly in Latin America and Africa, identifying global climate change as the topmost threat to their nation. There’s another reason support for clean energy and other climate solutions is growing around the world: the benefits are there to see for anyone with eyes. From helping fight poverty to cleaning up the air we breathe, the real-world results of shifting to renewables are just too positive and powerful to ignore. Clean energy is reducing global poverty and expanding energy access. Clean energy not only saves lives but also makes the world more secure. With a warming climate come the challenges of ensuring food and water security for millions, sometimes spurring human migrations and further destabilizing vulnerable countries. Off-grid solar in Africa is a potential market worth billions of dollars. Clean energy improves public health. 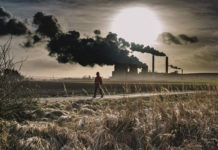 It’s simple: burning fossil fuels pollutes our air, water, and land, and exposure to this pollution can result in deadly illnesses. Deforestation accounts for approximately 10-12 percent of global emissions – that’s about the same, if not slightly more, than transportation. When we protect forests, which store hundreds of billions of metric tons of carbon worldwide, we’re keeping that carbon where it belongs. Climate-smart agriculture is growing. According to the IPCC, agriculture, forestry, and other land use accounts for roughly 24 percent of global greenhouse gas emissions, but the good news is this: we’re getting smarter about how we farm. Clean energy is creating jobs. Last year, the renewable energy industry put 9.8 million people worldwide to work. And by 2030, if we double the share of renewable energy in the global energy mix, the sector could employ more than 24 million people. In the US alone, solar energy is the top employer in the US electric power sector, accounting for 43 percent of the total jobs in the field, and is creating jobs nine times faster than the rest of the US economy. US mayors are stepping up. On June 1, 2017, 402 American mayors (representing some 68 million Americans) from towns and cities both big and small pledged to “adopt, honor, and uphold the commitments to the goals enshrined in the Paris Agreement” through the Climate Mayors effort. 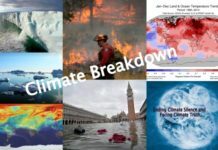 In 2017 alone, nearly 3000 citizens became Climate Reality Leaders. 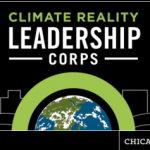 The Climate Reality Leadership Corps takes great leaders and makes them exceptional, providing training in climate science, communications, and organizing in order to better tell the story of climate change and inspire their communities to take action. All around the world, momentum for clean energy is growing rapidly at state, local, and regional levels. 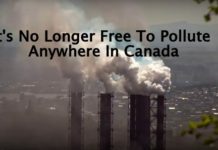 In Canada, provincial governments are implementing effective carbon taxes. States in India are vying with each other to develop the most solar power. Nineteen countries in Africa have joined forces to fuel sustainable growth and energy security. US states like California and New York are pressing forward with aggressive climate action plans. Major cities are stepping up and leading the fight on climate solutions. Where to begin? Copenhagen: aims to be carbon neutral by 2025. San Francisco: plans to achieve 100 percent renewable energy supply by 2020. Barcelona: requires 60 percent of hot water to be generated with solar energy. Los Angeles: plans to become coal-free by 2025. Paris is promoting bike and car sharing services. In Taiyuan (China), only EV taxi fleets are allowed and many US cities also have their own drive-clean programs such as hybrid police cruisers. There are more ways than ever to make a big difference. Around the world, community solar – where a community comes together to purchase or develop a solar farm whose electricity is then shared – is taking off, and at the same time the price of personal rooftop solar continues to drop. Solving the climate crisis is within our grasp, but we need people like you to be the voice of reality. Because our planet is in danger. Our future is at stake. And we will have a voice. Use yours to write a letter to the editor, or simply share your concerns about the climate crisis widely with your social networks. When you talk, your friends and family listen. Discussing the reality of the climate crisis is your chance to change minds and ensure the people you care about know what is happening to the planet – and what they can do about it. 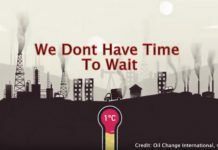 ACT NOW and join the climate movement. 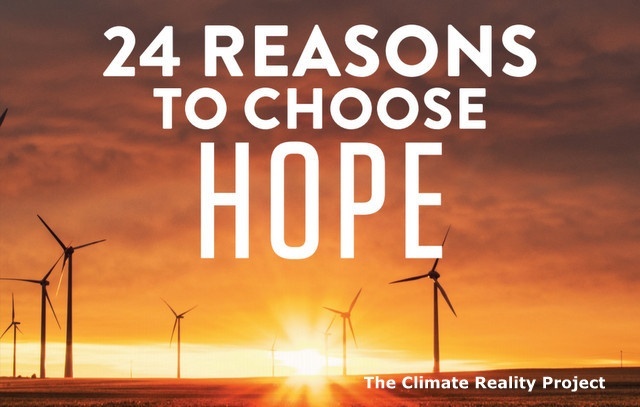 Download your copy of 24 Reasons for Climate Hope. As much as I hate to rain on this parade of ClimateHope, in the context of “reality” studies and informed articles that I have been reading recently, the Climate Reality piece reads more like hype than hope. But without any supporting math evidence or footnotes to back up the claims, it’s difficult to judge. + Growing the economy AND mitigating climate change. + Growing the economy by REPLACING fossil fuels with renewables. + Humans en masse choosing to leave fossil sunlight in the ground. + Governments explaining limits to growth BEFORE limits to growth are well past. Frank. Thank you for your comments. There are days when I like to talk about “hope” versus “despair”. There are times when I think maybe, just maybe, we can rise above the climate challenge. But then the reality is very much as you describe above. Without a massive behaviour-altering shift in current climate action intensity, humanity will wipe itself out. Your commentary brings a freezing cold shower on #climatehope. It wasn’t until I heard that, not only Justin Trudeau wasn’t arguing against the “Section 11” type clause in his free trade agreement negotiations, he was actually insisting on it when Trump didn’t want it, that I began to understand how deeply our whole country’s foreign policy is controlled by mining and resource interests. The reason Canada insists on that clause is to protect Canadian resource countries in Canada and around the world. Oil and Gas is in that business. We will only free ourselves to do the rational thing when the world is no longer in the thrall of oil and gas and other resource countries. We are engaged in a massive power struggle with the oil and gas sector. How determined are we to weaken their hold on us and be able to set our own policies and priorities based on rational criteria and the well-being of the people and the planet. The pervasiveness of the fossil fuel industry is simply all-encompassing. Oil companies have infiltrated every nook and cranny of our society – government, institutions, schools, hospitals, libraries, politicians. No wonder it’s almost impossible to eradicate its influence. But it will happen. Just think about the long arm of the tobacco industry in a previous age not that long ago. Unfortunately my confidence in our ability to do the right thing is quickly being eroded. My disappointment with human beings is troubling. 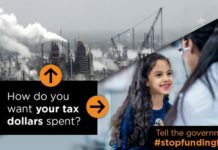 How can we as an electorate put someone like Doug Ford in power for 4 years – such a crucial time when climate progress is required? 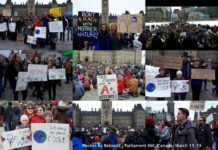 How can Trudeau become such a climate hypocrite? And let’s not even try to explain Trump, the world’s worst leader at a critical period for humanity. Thank you Frances for your feedback. Much appreciated. Those who really want peace will prepare for war and develop the advanced tools of war. Where would we have been in 1945 had we not built B-17s and B-29s? Les Blevins is president of AAECorp.com and is offering those who want no human extinction to be prepared. His first job was at Boeing Airplane Company in Wichita during the B-52 program. 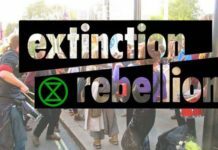 As you’ve said Rolly: “Without a massive behaviour-altering shift in current climate action intensity, humanity will wipe itself out” and the consensus that’s emerging is that this may already programmed in and be irreversible. However this doesn’t take into account technology fixes that can power our energy needs on extraction of carbon from the earth’s atmosphere and is 100% scalable and applicable in developed and developing countries and in both rural and urban areas.. Why is it that you cannot get your head around the importance of that? Les – Thank you for posting your 3 comments. I’ll respond here to all three. Hope – I agree that hope is a double-edge sword. Hope is not helpful when it replaces taking action. It is not a substitute for action. But some might take hope and use it as a springboard to action. Human extinction – your war analogy is appropriate. Indeed we must prepare for climate change and the extinction of species that will follow. Mitigation and adaptation are two strategies that will allow some of us to carry on. Getting my head around it – you ask why I can’t get my head around the fact that technology fixes are 100% scalable and will end up saving the day. Well I totally get that. We do have the technology and the know-how but we’re lacking the will to follow the path to a clean energy platform which would only be part of the solution. And then there’s that nagging detail about the perpetual growth paradigm and runaway consumerism that keeps getting in the way. As always, thank you for the feedback. Rolly, I completely agree with the answer above and I also share your sense of caution and skepticism. It is unquestionable we have climate engaged citizenry as well as the technical and human resources to successfully address the climate and overall environmental crisis. But that offers no guarantee for success. In order to resolve this global crisis, we require a radical change not just in our physical infrastructure but in our socio-technical system and ultimately in our culture. We will need to leave our physical and mental comfort zones so that we can develop (1) containment solutions to adapt to and stabilize climate and (2) evolve a new conception of reality where our identity and purpose is aligned with nature . Achieving such goals will enable upgrading our civilization and make it again sustainable. Ruben – welcome to Below2C. I share your perspective and your observations. Humanity will be unable to resolve climate change unless there is a massive shift in our modern paradigms. I once thought that extreme weather events and natural disasters would be enough to mobilize the masses to act on climate but I was wrong. I’m at a lost. If you share your social media links, I’d be happy to follow you. I liked your article. It gave me good points to ponder, and a world view look that I knew was possible but never seen it anywhere. Thank you. I was going to read your article, and ponder it silently (without writing anything), and add to my arsenal of sense, because you have given hope out freely. Thank you. Why the crazies come out to play in your comment section, when they could go write articles themselves and see if anyone reads theirs, is beyond me. Thank you, for even open yourself to their negativity if thats what it takes to get your message out there. Brenda – welcome to Below2C. I must admit that’s it’s not easy to remain hopeful as one sees what’s going on around us. We are now staring at the face of climate change and what I see is downright scary. And yet, there is so much happening to give one hope. As for the crazies coming out of their closet, it’s all part of the climate dialogue. They are the people we have to convince that climate change is real and it’s here NOW. Thank you for your comments. If you’re on Facebook and Twitter, please share your links and we can follow one another. In a recent blog article I posted when my Hope was stronger than my Despair I quoted Rebecca Solnit. as follows. Guy – welcome to Below2C. Rebecca Solnit’s words are so appropriate for the times we live in.”To hope is to give yourself to the future – and that commitment to the future is what makes the present inhabitable,” is simply brilliant. I appreciate your feedback and thank you for sharing the links. Instead of using taxpayers money to indefinitely pay electricity bills, schools should service fixed term loan agreements – with repayments lower than bills – to pay for their own electricity generating facilities. Schools would immediately have increased budgets and the fossil fuels would remain underground. Jamaican electricity is one of the most expensive in the world. I have an estimate for a 201kW solar facility at a college with a payback period of 4 years: monthly bills averaged USD10k and the estimate was USD475k. If the college had a loan agreement of 20% over 10 years it’s monthly repayments would be $4750 ($475k x 1.2/120 months). Today, that agreement would make the college around $5k better off ($10k – $4750). A school reported bills around $32k and estimated $320k could get them off the grid. The situation in Jamaica is very, very simple: if the people knew about the viability of solar powered schools they would take to the streets. That is not an exaggeration. Parents are unnecessarily paying schools fees – that many cannot afford – to primarily pay for astronomical electricity bills. The people are ignorant because of collusion between the parliamentarians and the media. So publicity is needed. Our education is so poor that school leavers are considered too dunce to work in call centres. Paying for fossil fuels is the main reason for our pathetic standard of education. Hello Dr Lennon and welcome to Below2°C. You suggestion to make all schools electricity self-sufficient is an excellent one. Has your concept got any political traction at the moment? And how do you propose to inform school authorities and the general public? I’m interested in finding out more. Are there any sources of information you can share such as links, reports, etc.